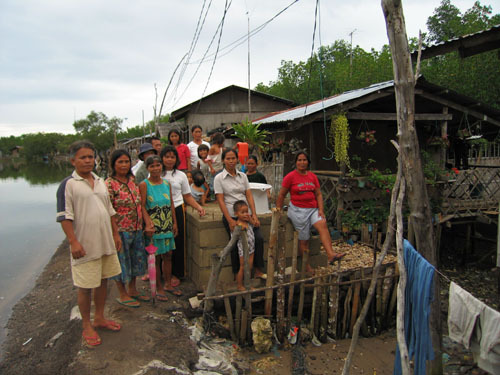 Coastal villagers find comfort in EcoSan – PROCESS-BOHOL, Inc. 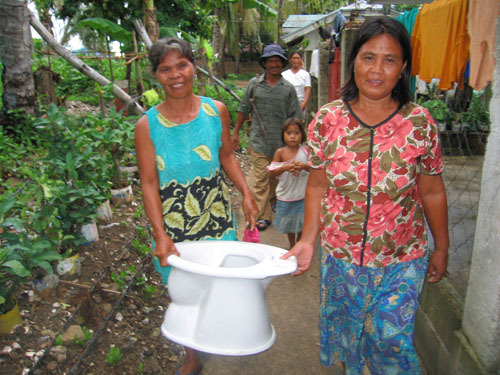 While others appear to be apprehensive about ecosan or ecological sanitation, the village folks of Barangay San Pedro in the municipality of Talibon, Bohol welcome the latrine project with open arms. Their sheer enthusiasm has caused PROCESS-Bohol, through Joyce Bucia, program officer of the gender and development program, and this writer to stretch out the budget worth P193,000 from the Bol-anon United Sectors Working for the Advancement of Community Concerns (BUSWACC), Inc. From the original target of eight units of ecosan toilets, the proposed number was increased to 20. The decision was made in the wake of the arriving construction materials taken from the terminated water project in the neighboring municipality of Getafe, courtesy of the Peace and Equity Foundation and BUSWACC. Popularly known as Pook, Barangay San Pedro is approximately three kilometers east of the town’s Poblacion. 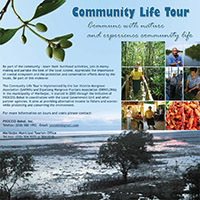 The place is a bit swampy, occupying the coastline of the Ipil River’s delta, opposite the municipality of Bien Unido. At least 80% of the land area is submerged with seawater at high tide through fishponds, natural waterways, and mangrove forests. Yet, these sections of the village are important to them for these have served as their “public toilet” since time immemorial. The village population is practically dense and heavily dependent on fishing, including oyster culture, as their means of livelihood. As related by mothers attending the community meeting held last August 3, the average number of children per couple is roughly between 8 to 12. 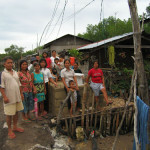 Of the 225 households in the area, only 18 have toilets of their own. They first heard of ecosan technology (rather called the ‘ecosan principle’ by some) during the project orientation on January 8 this year. They were not convinced by mere explanation until they were brought to Nocnocan Island, a far-flung barangay of Talibon town, three days after the orientation, for a cross-visit. The participants visited the one-unit project put up by the Provincial Health Office (PHO) and the GTZ-Water Program inside a classroom. The users are, of course, elementary pupils and faculty members.